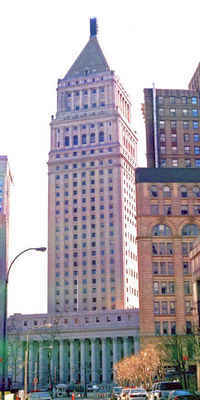 Jesse Redman Clark, president of Union Central Life, sought a design for the company's new building from Gilbert, based in part on the reputation Gilbert had achieved for the design of the West Street Building in New York. 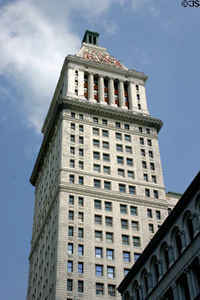 Local Cincinnati architects Frederick W. Garber and Clifford B. Woodward were brought in as associates. 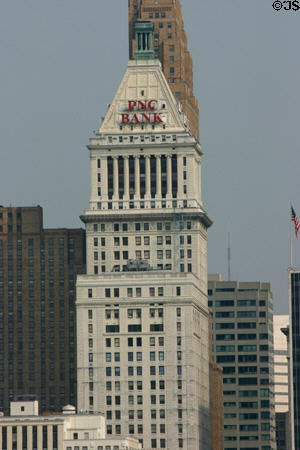 The new building was constructed on the site of the Cincinnati Chamber of Commerce which had been destroyed in a fire in 1911. The Chamber was to occupy a portion of the new building. The main floor was to be leased to the Central Trust Company, while the insurance company was to occupy the upper eight floors of the building. 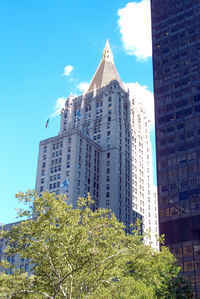 The Woolworth Building was well underway when Gilbert received the Cincinnati commission, and he used many of the same contractors and subcontractors, including the Thompson-Starrett Construction Company, engineering contractor Gunvald Aus, the American Bridge Company for the steel framing, and the Atlantic Terra Cotta Company for the exterior cladding.